Fan Forum > TV Shows - Present > The Vampire Diaries > The Vampire Diaries Intro | Guide | FAQs | Tagging | Additional Rules - Please Read! 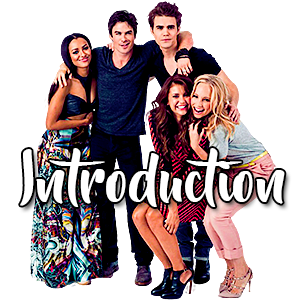 The Vampire Diaries Intro | Guide | FAQs | Tagging | Additional Rules - Please Read! offers the best in entertainment, news and discussions at a wide variety of boards. We're all here for the same reason and whether you're a longtime fan or a new fan - we're all the same. and learn the rules of the Fan Forum here. the official Fan Forum rules before posting. • Please avoid posting just smiles, yes/no or random posts. It's ok when you just want to say hi to your friends, but constantly posting just smiles and posting with no content might cause confusion and disrupt interesting discussions. For anything else, we have a perfectly good Off Topic Thread or if it's something funny we have the Tea Party Thread you can post on. •Try not to double/triple post after yourself. It’s ok to do it only if no one has replied to the thread after 2 days and if you have some news to share with that particular thread. If you have something to add, you can just edit your post to include anything new you have. •Please don’t quote pictures or videos. It slows down the server if it’s just reposting pictures that have been posted before. You can copy & post the link if you want to talk about a particular picture, just try not to quote the picture itself. •Also try not to post too many gifsets and videos in one post. This will also help with connectivity. •Only post three or less pictures at once. Make sure they are a reasonable size and don't stretch the page. •Please don't hot link, that's bandwidth Theft. Imageshack and Photobucket are two of the many free hosting sites that allow you to upload and direct link for their sites. •Make sure when you post any art related pieces here that you give proper credit to the creators. •Feel free to open up any new threads that you feel are valid for the board. Have in mind that unless the character have enough to keep his/her own thread open, post anything related to him/her on the Recurring/Guest Stars Thread. •Check the Board Guide first to make sure there isn’t already an existing thread for what you want to add. •Please try to remember to tag threads. This will help with finding threads faster. The guidelines for tagging threads can be found HERE. •We want to keep this board a healthy and warm place for everyone. •Bashing a character, a couple, an actor or a fanbase is completely forbidden and has no room in this board. You're entitled to voice your opinion in a constructive criticism way, even if it's unpopular or negative, as long as you express your opinion in a respectful manner. A friendly debate is fine, but please post in consideration of other posters’ views. •If you don't like a specific character/shipper avoid going into the shippers/characters appreciation threads to discuss it. We have the Characterization and Plot Development Thread if you want to state/discuss about that. •Avoid talking about other shippers' thread conversations in your own shipper thread. •Spoilers should not be discussed on the general threads, and posters should not post icons, animations, videos, or links to anything related to a new episode. 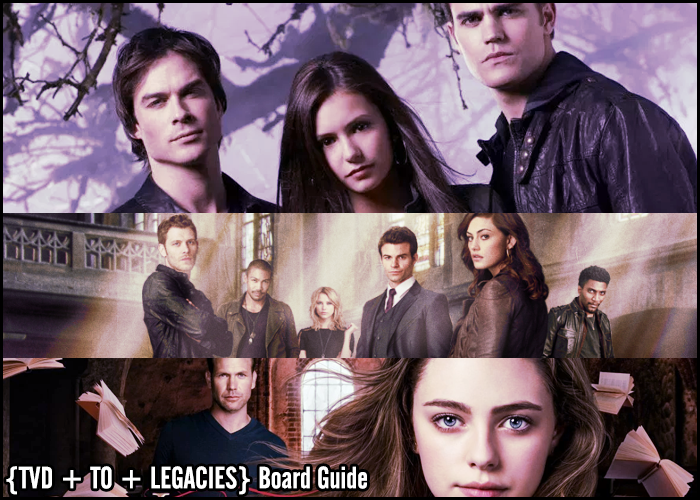 •All spoilers can be posted/found on The Originals thread at the Spoilers Board. Thank you for taking the time to read all of the rules. If you have questions or need clarifications, do not hesitate to PM a Moderator. Again, this is not a way to limit your posting experience on this board, these are just a few reminders that will help us be one of the friendliest and welcoming boards here at FanForum. We appreciate all the help that you guys can provide us. • The Vampire Diaries 1M Posts! Tension between the shipper groups here at the The Vampire Diaries Board are quite high. As a result rules have been broken in the past. In an effort to curb the ongoing "shipper wars" the board will use a "3-Strike Rule." The rule is pretty easy to understand. Each shipper group will be given a strike when a rule on the board is broken. Once the second strike has been issued, the moderators will consult with the Moderator Managers about a possible temporary thread closure. If a third strike occurs, the thread may be closed for 24 hours. All strikes expire 6 months after they've been issued. We understand that this may appear to be harsh but it has gotten to the point where a simple slap on the hand will not to the trick. Everyone should be respected on the board. Bashing and making fun of any couple. Constructive criticism and comparisons are fine, but please keep it respectful. Bashing either fanbase or taking posts from their thread is not allowed. Making fun of titles, or using titles that take jabs at the other fanbase is not allowed. This is to help anyone that's confused on how to tag. When starting a new thread at the bottom of where you post the opening posts you have the tags type in your tags, if you want to use more than one tag remember to use a comma. While adding a tag you will see this (using the example abc) for this print screen you will get an auto complete. After you tag click save changes. Also, if you need a tag that isn't created you can PM the moderators of that board. Eg: The Vampire Diaries, x/y, first and last name for each character and actor. Legacies [New Spin-Off] #1: From the world of The Vampire Diaries and The Originals, Legacies is coming Thursdays this fall to The CW. I won't be around tomorrow and maybe only a little om Saturday depending on whether the rain makes my plans fall through or not. But I should be back full time on Sunday if not Saturday. ^ I am. Anything to help get the board more lively again!